I'm a gamer and I found a great new game to play and to also let my children play. A Better World is a game based on the positive apects of life. You even get rewarded for doing good deeds. You can earn gold by playing mini games. Then you use your gold to laeave trinket's and gift in your friends' homes. 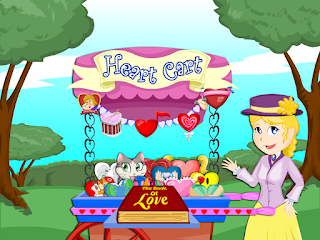 The newest addition to A Bbetter World is the Heart Cart. You can send you friends hearts. Especially with Va;etin'es Day just around the corner. This is a great game for all ages!